Recently, many foreign tourists travel to Wakayama Prefecture to visit Mt.Koya and the famous Kumano Kaido. 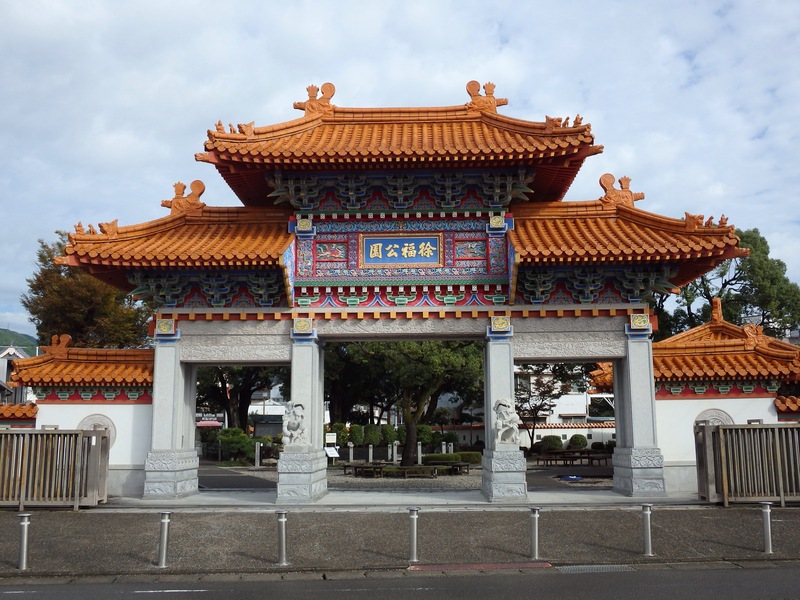 Most are unaware of Shingu, a lovely little city that has its own collection of impressive sightseeing spots, including sections of the famous path and other related World Heritage Sites. 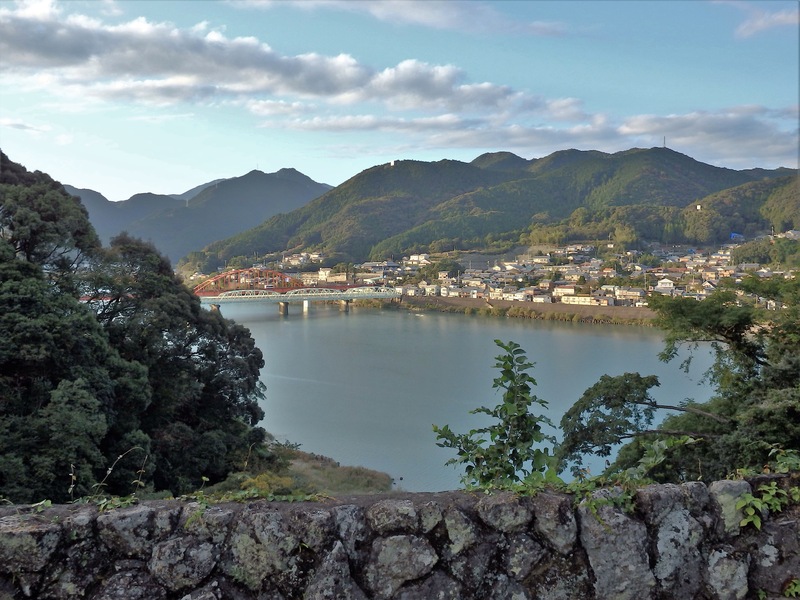 Most of Shingu’s attractions are centrally located and can easily be visited on foot or by rental bicycle. The locals are friendly and as the town is not a popular tourist destination, you’ll often have its major sights all to yourself. 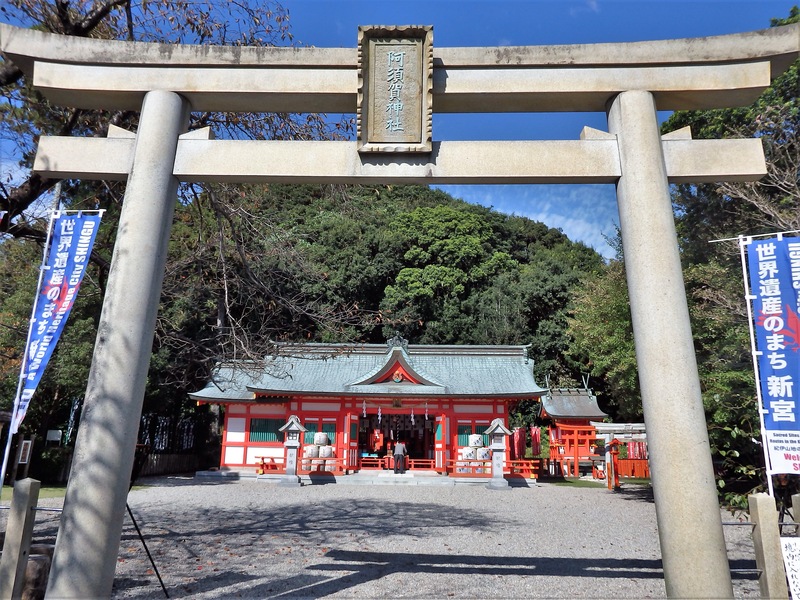 Shingu’s Kumano Hayatama Taisha is one of the ‘Kumano Sanzan’ – 3 Grand Shrines – visited by pilgrims for over 1000 years. 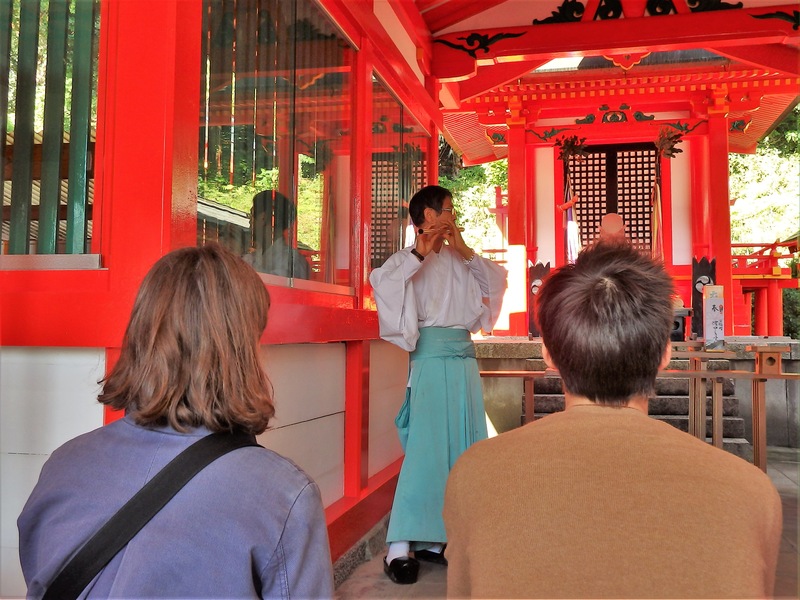 Shingu is a good tourist destination on its own, but is even better in a combined trip with the two other shrines, Kumano Hongu Taisha & Kumano Nachi Taisha (and the famous Nachi Waterfall). Jofuku Koen is a small Chinese-style park across from the station. If there are no rental bicycles at the station, you may be able to rent one here. The park is nice, but as there are no English explanations of the features inside, it is not necessary to stop here for more than a couple of minutes. 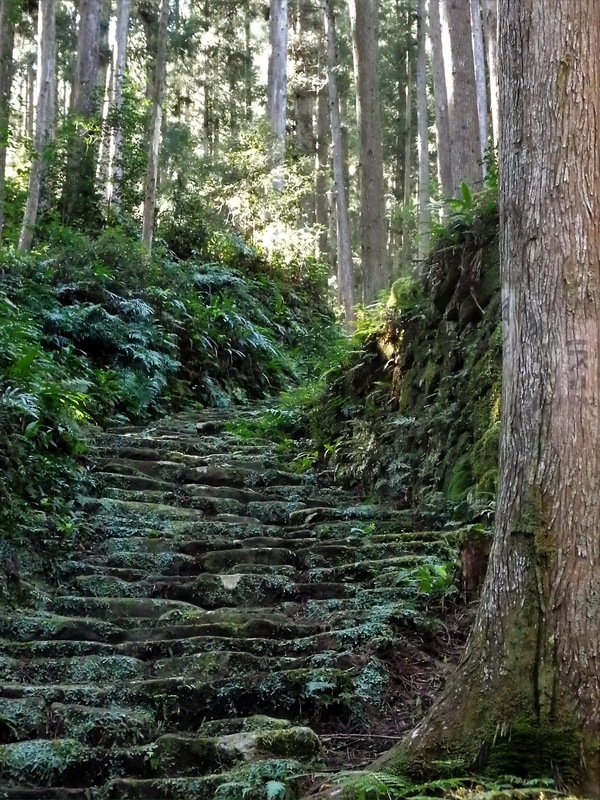 From Shingu Station/Jofuku Koen, walk 8 minutes to Asuka Jinja, which is said to be the oldest shrine in Kumano and is part of its World Heritage Site. If you don’t see anyone when you arrive, buzz the office. If the head priest, Nishi-san, is inside and answers, let him know where you are from and that you’d like to learn about the shrine. Nishi-san speaks English and is very friendly. He is quite a character and if you are lucky enough to meet him, your visit will be especially memorable. *On our visit, Nishi-san even played some music for us! From Asuka Jinja, walk 10 minutes to Tankaku Koen, a park containing the remains of Shingu-jo. 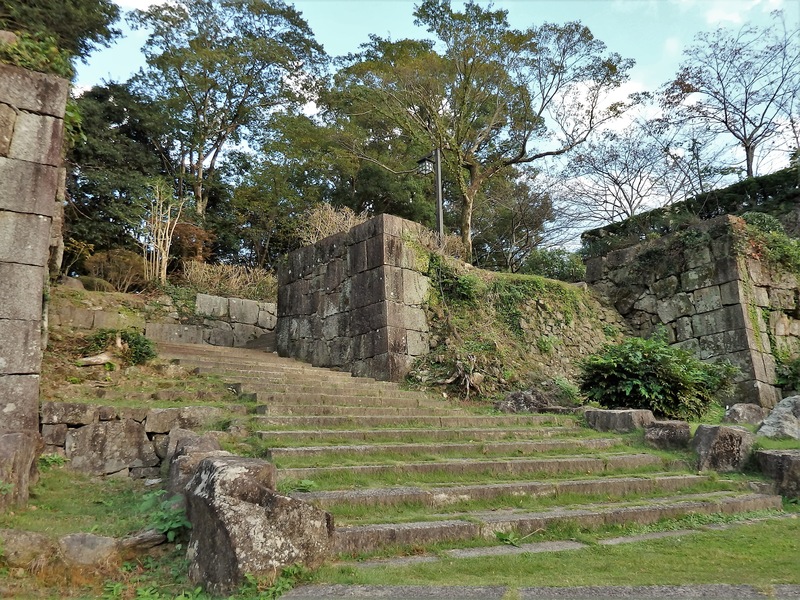 This castle was built in the early 1600’s on a small hill beside the Kumano River. It was mostly destroyed in 1873, but impressive stone foundations remain and the view of the surrounding area is worth seeing. From Tankaku Koen, walk 5 minutes to the Nishimura Memorial Museum which is in a lovely Western-style home built in 1915. Isaku Nishimura’s story is interesting, so be sure to check out the museum’s webpage, and this article, before arriving. If you enjoy drinking sake, also stop at nearby Ozaki Brewery to pick up a bottle of their tasty offerings. Just a couple minute’s walk from the memorial museum is Tankaku Shotengai, a short shopping street containing a few shops and restaurants. 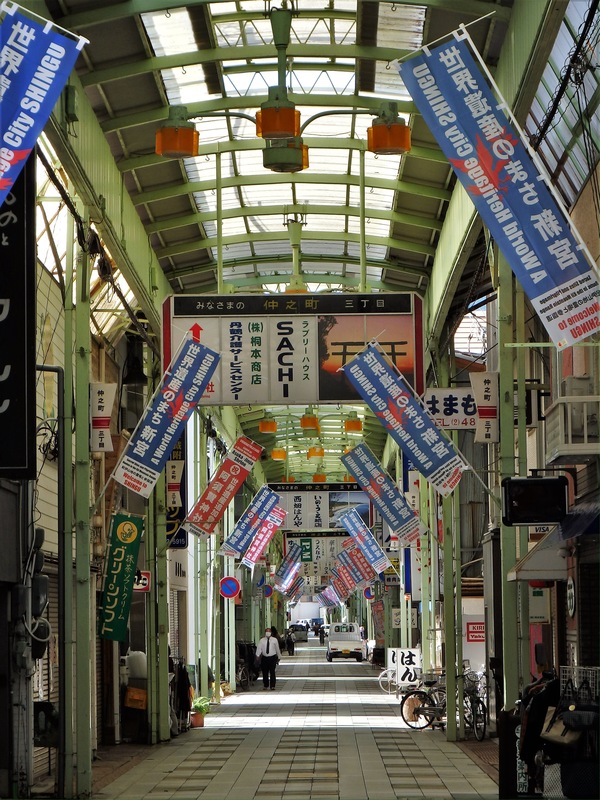 Head up this street to Nakanocho Shotengai, a traditional covered shopping street. If you do not stop anywhere, it will take less than 15 minutes to walk from one end to the other. 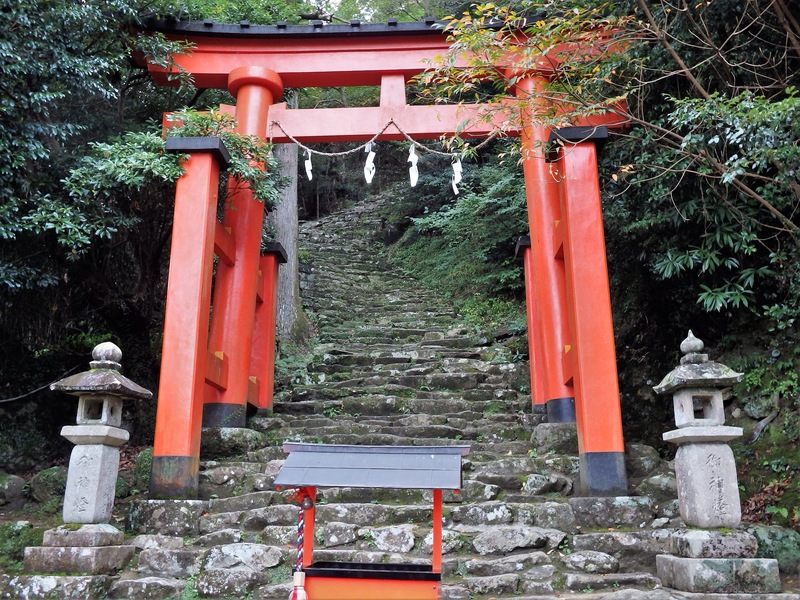 Next, walk 5 minutes to Kumano Hayatama Taisha, one of the ‘Kumano Sanzan’. 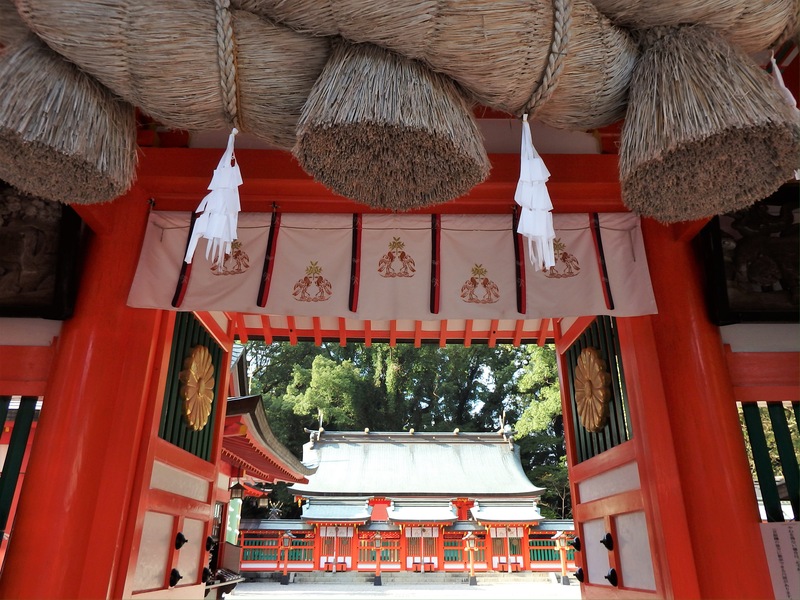 This Grand Shrine is the most famous of Shingu’s World Heritage Sites. 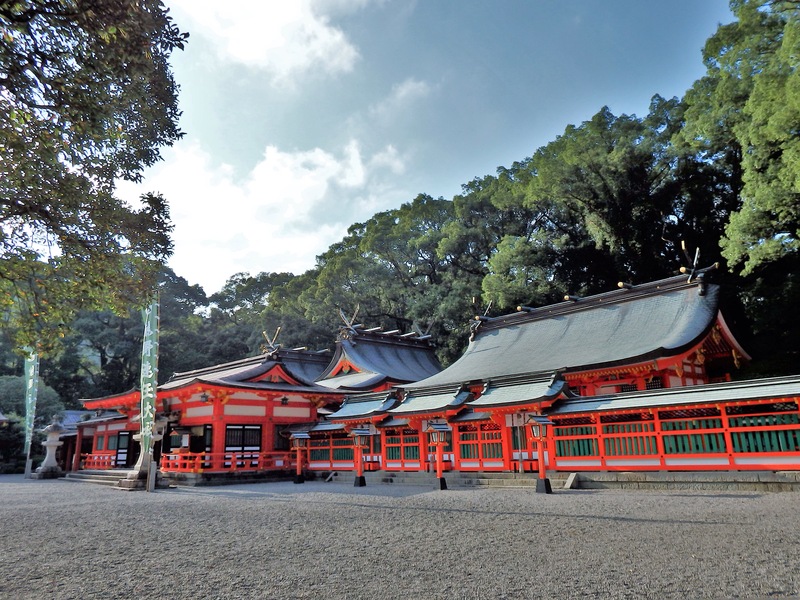 Within the grounds, check out the 800 year old giant ‘nagi’ tree and the shrine’s treasure house. Just beside the shrine is a memorial hall dedicated to the Japanese poet, novelist, and critic, Haruo Sato. The structure, built in 1927, was once Haruo Sato’s home. Also near the shrine is Kawaraya Yokocho – a collection of five shops selling locally-made products, souvenirs, coffee, mikan juice, and more. From Kumano Hayatama Taisha, head into Shingu’s Teramachi, an area filled with a collection of small temples and shrines. 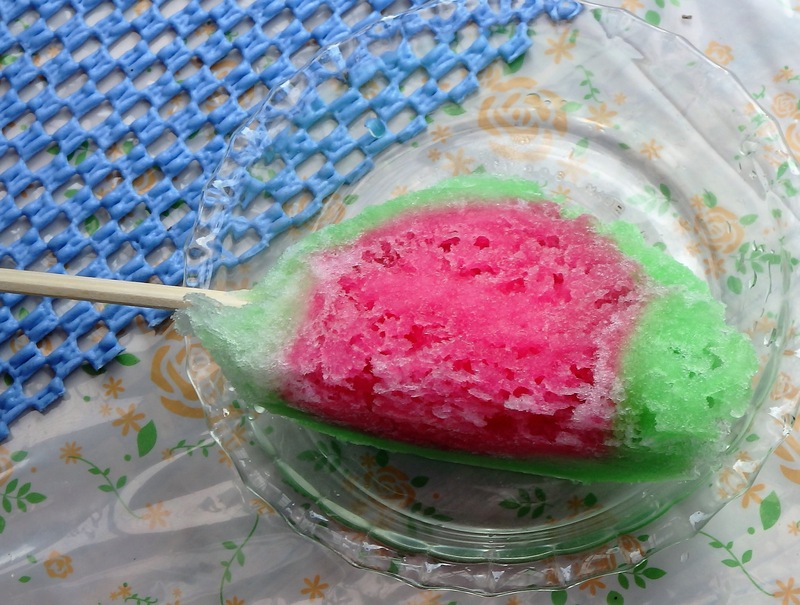 If you’d like to eat a refreshing dessert along the way, stop at Nakakori-ten for some flavored shaved ice. Without a stop, the walk through Teramachi to Shingu’s famous Kamikura Jinja takes about 15 minutes. 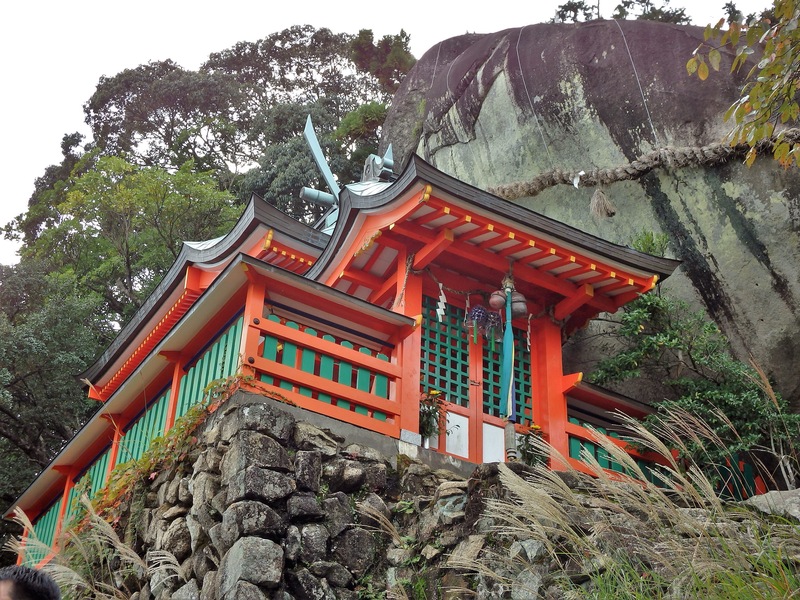 Also part of the area’s World Heritage Site, this shrine is built into a boulder at the top of what might possibly be the steepest stone staircase in Japan. *Not recommended climbing for small children and the elderly. From Kamikura Jinja, walk 10 minutes to the Ukijima Floating Island. 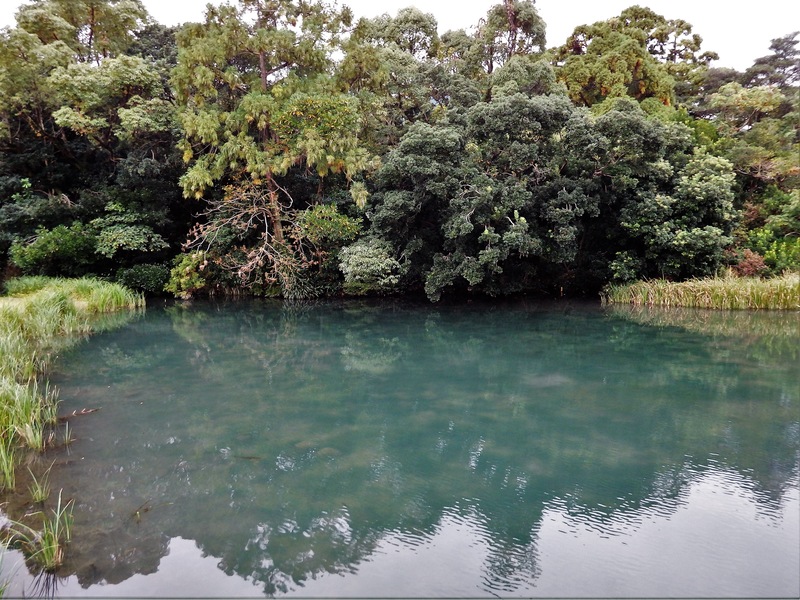 This spring-fed pond contains a small, forested island made of peat that used to float. The attraction is a little rough around the edges, but it is fascinating that something like exists in the city center. From Ukijima, the walk back to Shingu Station takes about 7 minutes. 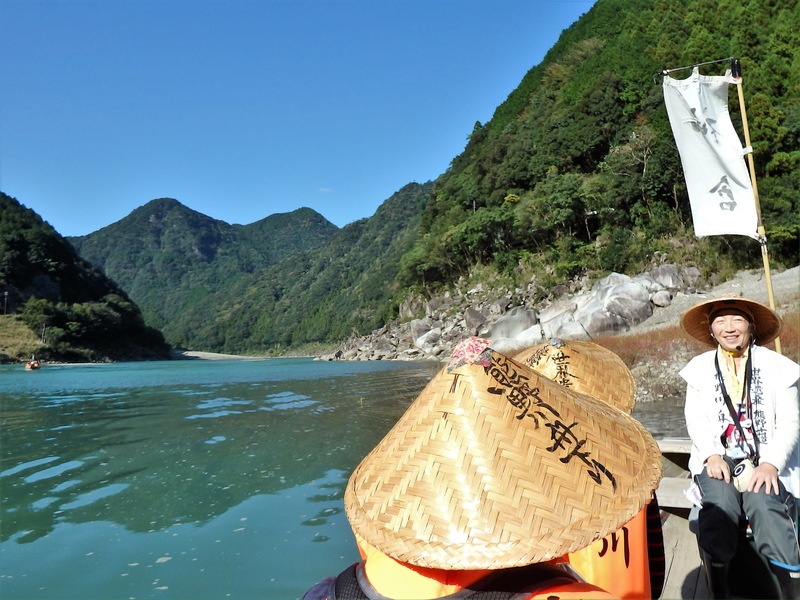 Another highly recommended activity in Shingu is the Kumano River Boat Tour. There are two tours each day. Take a bus from Shingu Station at 8:40am to connect up to the boat tour that runs from 10am to 11:30am. Or, take a bus from Shingu Station at 12:15pm to connect to the 90 minute boat tour that runs from 14:30 to 16:00. The ride costs 3900 yen and ends beside Kumano Hayatama Taisha. The boat company does have excellent English guides, so ask about them when you make advanced reservations. *The ride was much more enjoyable with English explanations. The Kumano Kaido also runs through the mountains of Shingu. 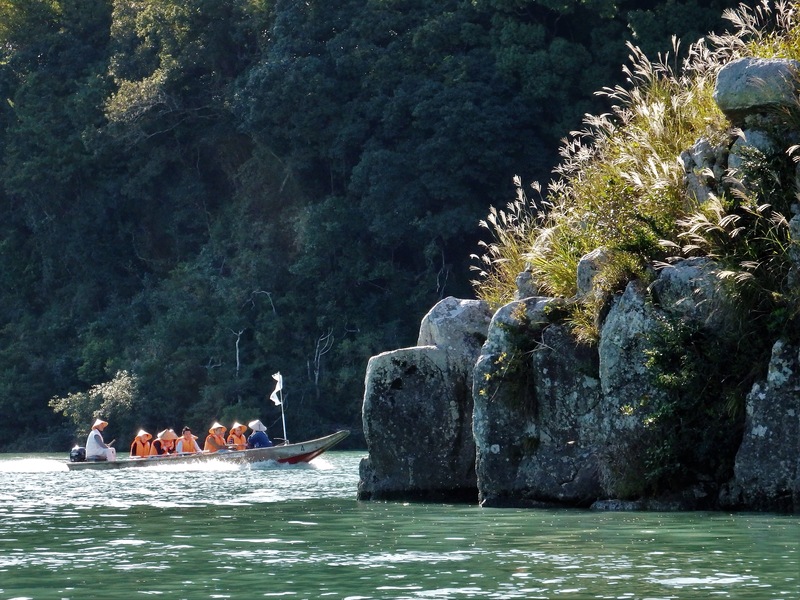 However, if you only want to hike a small portion, I recommend the section in nearby Hongu. If you’d like to really delve into the history and culture of the area, consider hiring a private guide. 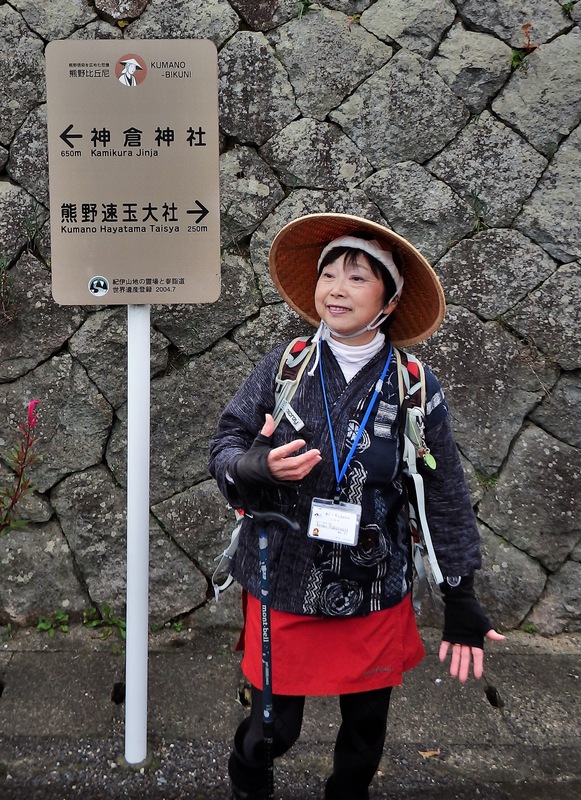 I strongly recommend Kyoko-san of Mi-Kumano – she is fantastic! I also recommend listening to Kyoko-san when she dresses in the costume of a traditional Japanese nun in order to do some historic storytelling. See this website for details. For some tips on what to eat/drink in Shingu, check out the photo story I created for JapanTravel.com. I also wrote a review of the restaurant, Tensui. 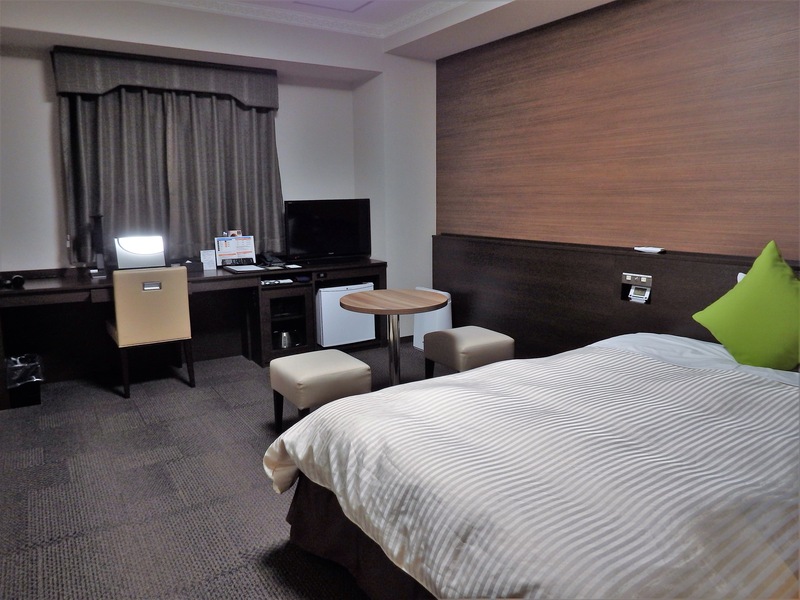 Simple business hotels make up most of the accommodations in town. However, the Hotel New Palace is﻿ centrally located, reasonable, has large rooms and contains a nice public bath. Another option is to stay along the coast at an onsen ryokan near Kii-Katsurura Station (15 minutes by train from Shingu Station) or near Taiji Station (20 minutes by train). I was already enjoying your story when I got to Kyoko-san! Kyoko was the volunteer guide for our small group of Australian football fans when we visited Kawayu-Onsen and took in just 10kms of the Kumano Kodo around Hongu. On a second visit in April we timed it to catch the fantastic local Hongu Kumano Taisha Shrine festival. I have October next year marked down for Rs visit. Your great itinerary will be a starter. So glad to hear that you are already familiar with Kyoko-san. And, I truly hope my itinerary is helpful to you on your next trip to the area!